Lui Shtini; Apparition of the Bounty, 2018; Pastel on paper; 45 x 59 inches; Courtesy of the artist and Kate Werble Gallery, New York, NY; Photo: Gregory Carideo. Lui Shtini’s process translates abstracted thoughts into two-dimensional forms, birthing the intangible. In Tempos, Shtini presents a range of paintings and drawings created over the past five years. The 26 works are installed in the galleries with their peers—grouped together by series. 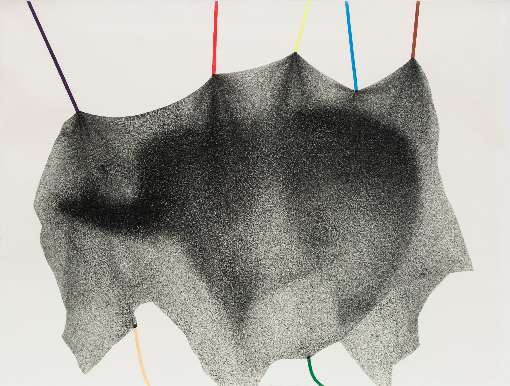 Each of Shtini’s works—both drawings and paintings—are shrouded in a layer of mystery, yet the work is full of hints. With his organic forms conjuring up imagery related to the body, to matter seen under a microscope, to what might even be seen deep into the cosmos or the inside of an atom, they are simultaneously filled with drama as well as the absence of it. Shtini works on the drawings and paintings simultaneously, and one can see how the anthropomorphic forms in the drawings on view lead into the suite of new larger paintings, all created in the last year. His painting technique engages his surfaces through layers of underpainting and brushstrokes while his drawings extend how one might look at charcoal and graphite. The undulation between macro and micro within the work creates a tempo. While past works are more architecturally related to the human figure, these expand in form, volume, color, and texture—cementing themselves with a quiet violence that penetrates the psyche. 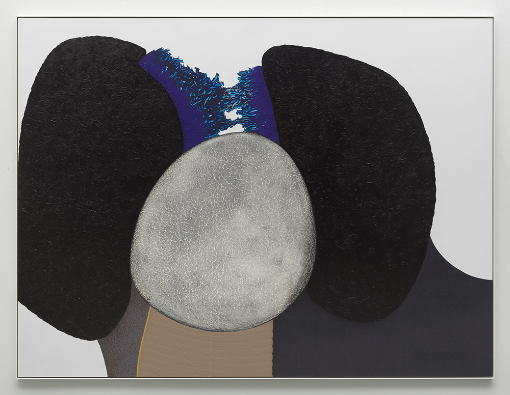 Lui Shtini; Ripped, 2017; Oil, enamel, pastel on dibond; 45 3/4 x 60 3/4 inches; Courtesy of the artist, Corbett Vs. Dempsey, Chicago and Kate Werble Gallery, New York, NY; Photo: RCH | EKH Art Documentation. Lui Shtini (b. 1978 Kavaje, Albania) lives in Brooklyn, NY. He attended the Academy of Arts in Tirana, Albania from 1997 to 2000. He immigrated to the United States in the early 2000s and attended the Skowhegan School of Painting and Sculpture in 2007. Shtini has held solo exhibitions at Lambdalambdalambda, Prishtina, Kosovo (2018); Corbett vs. Dempsey, Chicago, IL (2017, 2014); Kate Werble Gallery, New York, NY (2016, 2013); Cherry and Martin, Los Angeles, CA (2015); and van de Weghe Fine Art, New York, NY (2013, 2009). His work has been included in group exhibitions at Grice Bench, Los Angeles, CA; James Fuentes Gallery, New York, NY; Andréhn-Schiptjenko, Stockholm, Sweden; Galerie Sultana, Paris, France; Jessica Silverman, San Francisco, CA; t293, Rome, Italy; Nicelle Beauchene Gallery, New York, NY; Kate Werble Gallery, New York, NY; Corbett vs. Dempsey, Chicago, IL; Steven Zevitas Gallery, Boston, MA; Bureau, New York, NY; Jack Hanley Gallery, New York, NY; Creon Gallery, New York, NY; Peter Fengesten Gallery, Pace University, New York, NY; and Know More Games, Brooklyn, NY. He was granted a NYFA painting fellowship in 2010 and was the 2014 artist resident at the Sharpe-Walentas studio program in Dumbo, Brooklyn, NY. Lui Shtini: Tempos is sponsored, in part, by Omaha Steaks and Security National Bank. Special thanks to Nebraska Arts Council and Nebraska Cultural Endowment.